There, next to a cliff that descends to the coast, we can walk along a hanging gangway and enjoy an unparalleled panoramic view of the Alicante coast, with the Isla de Tabarca in the foreground. 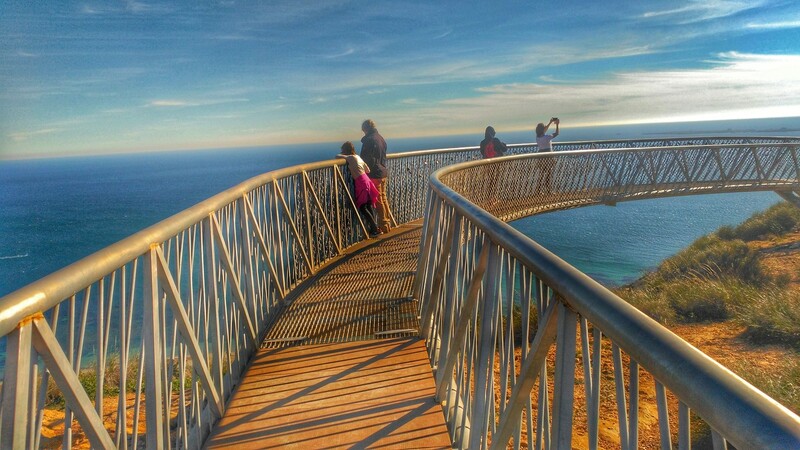 Without a doubt we are in one of the best viewpoints of the province of Alicante . On clear days, the view reaches Alicante, Cabo las Huertas and Benidorm and the Peñón de Ifach to the north and the bay of Santa Pola to Guardamar and Isla Grossa, facing the Mar Menor , to the south. It is a real spectacle to walk the catwalk or sit next to the cliff and contemplate the landscape, including some of the best beaches in Alicante . The lighthouse and the viewpoint are located at the eastern end of the Cabo de Santa Pola , a few kilometers from the town. The lighthouse was installed in 1858 on an old watchtower of the sixteenth century, called Atalayola, which served to monitor the coast against the incursions of Berber pirates. It was installed in 1858 for the orientation of the ships and currently has a maximum range of 16 miles. A few years ago, two sections of walkway were installed, some floating and with a grid base that shows what we have underneath. And although there is no stretch that protrudes from the cliff, it can impress if you suffer from vertigo. The cliff does not end directly on the sea, but there is a stretch of coastline. Right at our feet we can see the pine forests and the different coves that make up Cape Santa Pola. There, in the summer, a pin will not fit, and surely at any time of the year there will be someone testing its waters. Going back up, at the end of the second section of the footbridge you get the best views of the neighboring island of Tabarca (a small inhabited island, essential destination in summer), and is where there will always be someone in hand to immortalize it. In addition to the catwalk, part of the environment that is today as a sample of the recent history of our country was also recovered. This point, as we have said, is strategic because of the views it offers of the coast, so in times of the Civil War it served as surveillance . There it has recovered the place where there were several anti-aircraft coast batteries (the guns are no longer there) and bunkers, some communicated with each other, with explanatory panels about the war episodes that happened and photographs of the time. 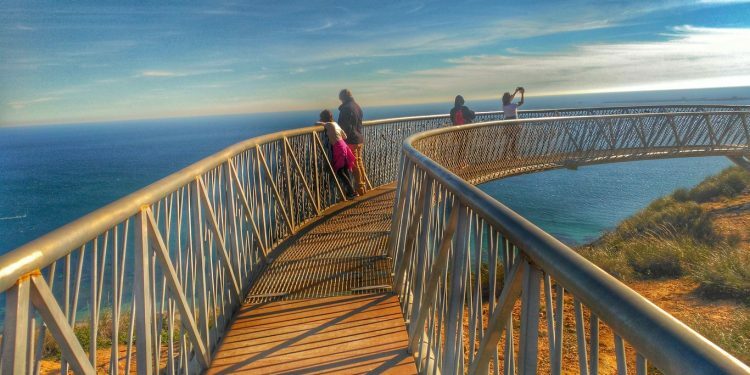 To get to the viewpoint of the Santa Pola lighthouse, take the detour of the 332 national road, in the stretch that joins Santa Pola and Alicante. Take the road to the lighthouse (eye bumps in some sections), almost at the end of which there is a parking area with picnic area. Very close, at the end of the road, there is the lighthouse and the viewpoint. There are also different trails and properly marked BTT routes that connect the lighthouse and Santa Pola or Gran Alacant, so many visitors arrive by bicycle or on foot. For example, you can reach a nearby lookout tower, the Torre de Pep or Torre de Escaletes, located to the south of the sierra and from there go down to the coves walking. Any time is good to approach the lighthouse viewpoint, but certainly the sunrise and sunset are impressive , although it can also be excellent to take lunch on a sunny autumn or winter day, when the heat does not squeeze. Yes, caution on windy days, because at this height can hit hard … and then better not to get too close to the edge of the cliff.